Lot Detail - O.D. Jennings 10 Cent Club Chief Slot Machine With Stand. O.D. 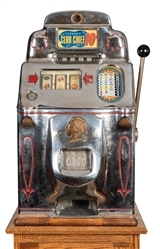 Jennings 10 Cent Club Chief Slot Machine With Stand. O.D. 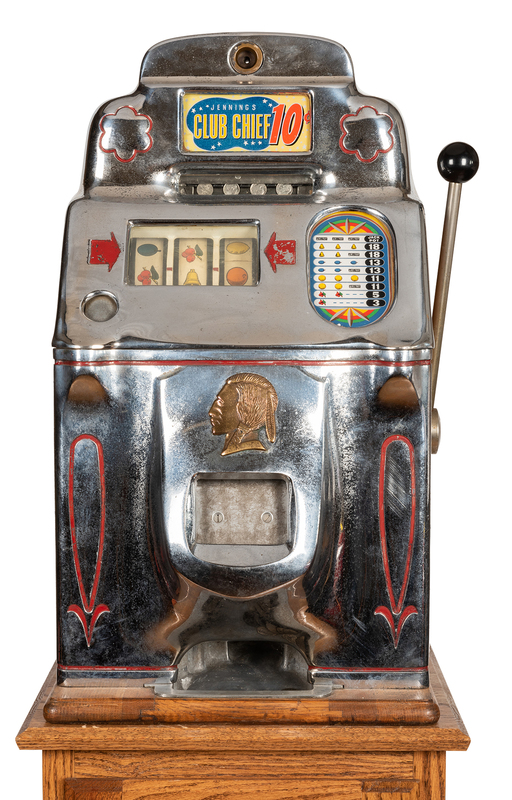 Jennings 10 Cent Club Chief Slot Machine With Stand. Chicago, ca. 1946. Modern claw foot stand. Locks and key. Light pitting on top casting, otherwise very good.